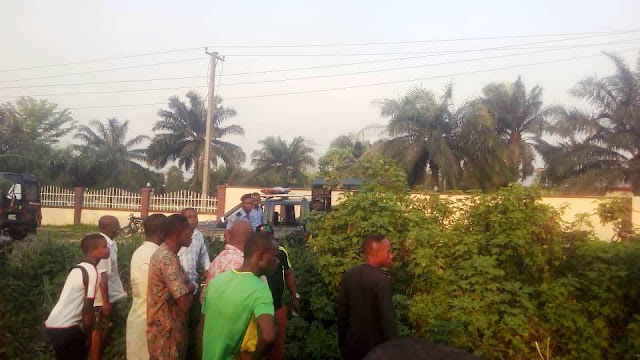 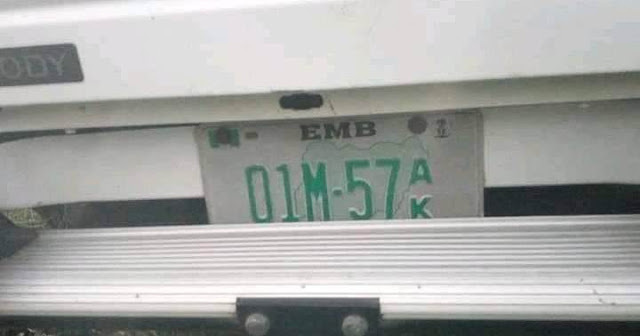 An Accident involving two vehicles occurred along Abak–Ikot Abasi road by Holy Family College on Tuesday, the 12th of March 2019. 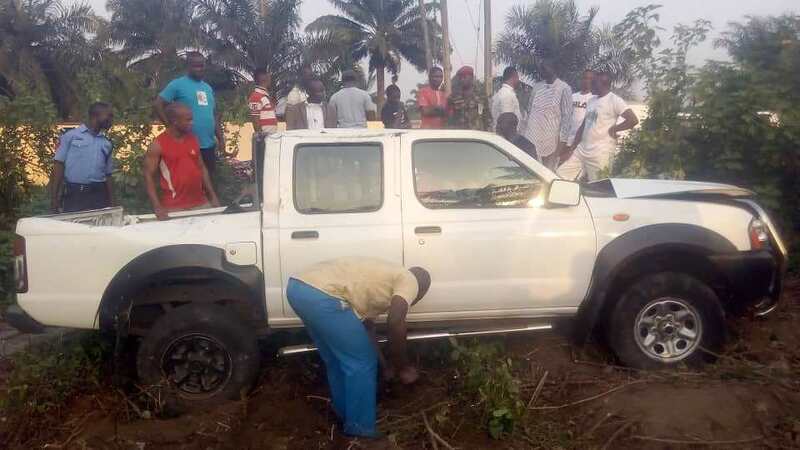 It involved a white Hilux vehicle that was heading towards Uyo, the capital of Akwa Ibom State. 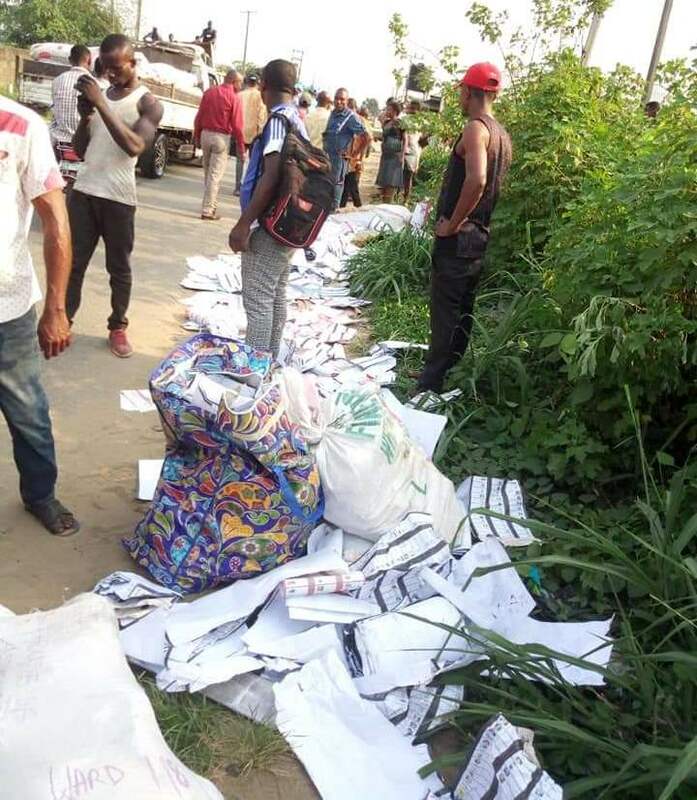 Passers-by who rushed to the scene to assess the accident were rather taken aback when they found our that the white Hilux vehicle was conveying some 6 bags of already thumb printed ballot papers, that was scattered all across the road. 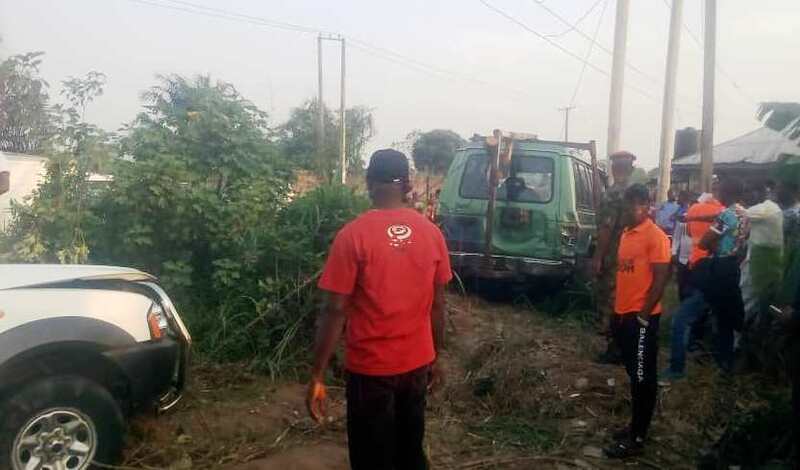 Security agencies were informed of the mishap and in no-time, members of the FRSC and Nigeria Police were on the scene in their numbers. Members of the Federal Road Safety Corps (FRSC) unit 633 evacuated the injured driver and we understood, took him for emergency medical treatment , while members of the Abak Police Division conveyed the scattered ballot papers in their vehicle to the Police station. 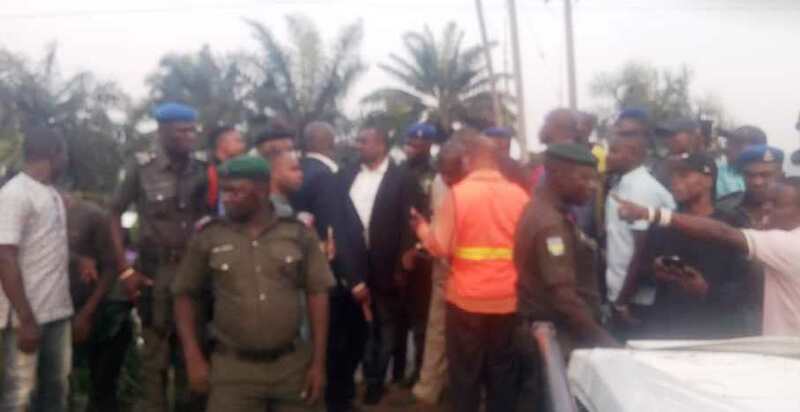 Barely 5 minutes thereafter, Obong Nsima Ekere, the APC 2019 Governorship candidate for Akwa Ibom State arrived at the scene for what appeared like an -on-the-spot assessment and was briefed by volunteers and security men on the scene. 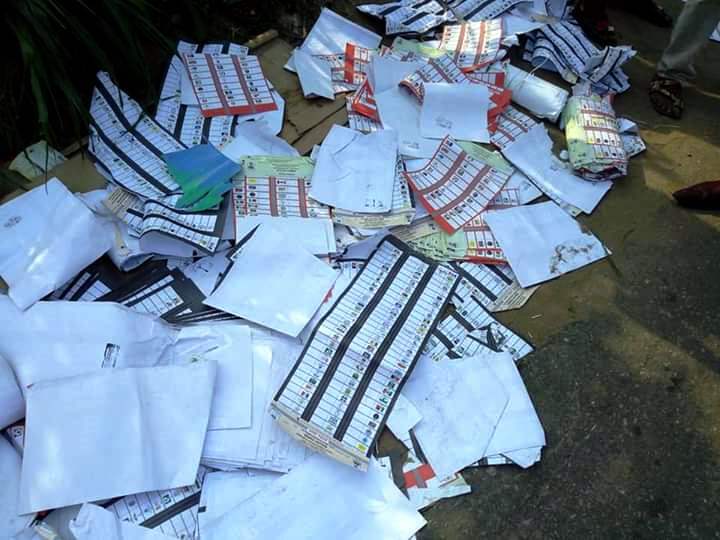 Members of the public were obviously bewildered and expressed concern as to where the ballot papers were coming from and where they were heading to. 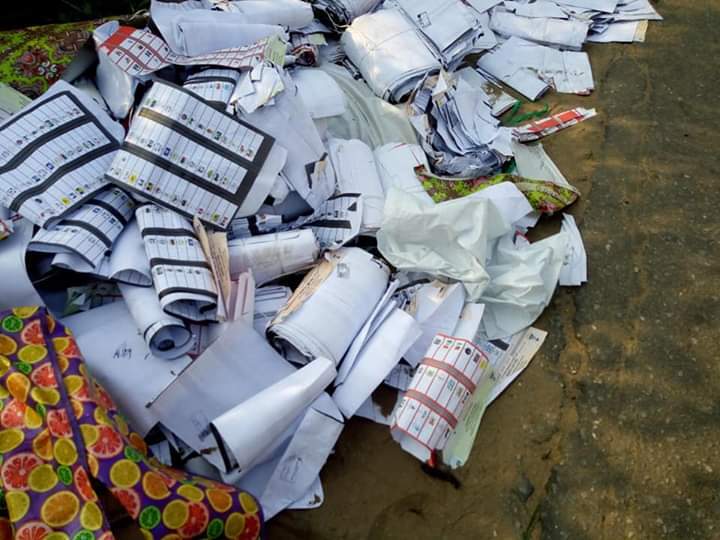 However barely two (2) hour2 after the incidence, INEC has confirmed that the ballot papers were officially being moved from Ikot Abasi Local Government Area office to the INEC state head-office in Uyo. The INEC official (name withheld) expressed thanks to God that no live was lost and that all the electoral papers have been recovered. 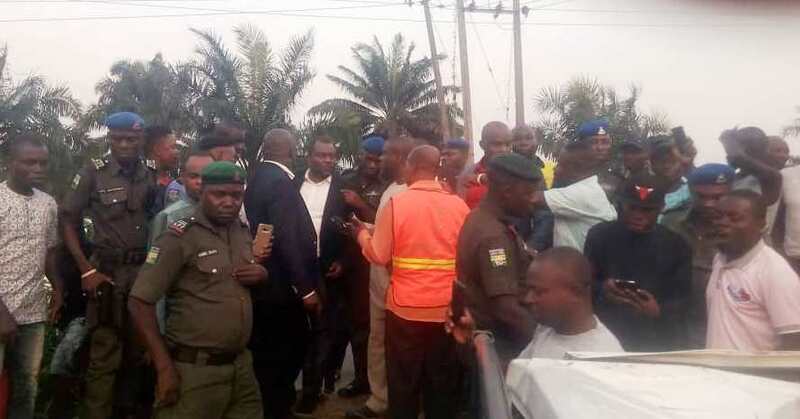 The 2019 Governorship election was held on Saturday, the 9th of March 2019 and Governor Udom Emmanuel has been declared winner by the Independent National Electoral Commission, having defeated his closest rival with a total score of 510,164 votes.